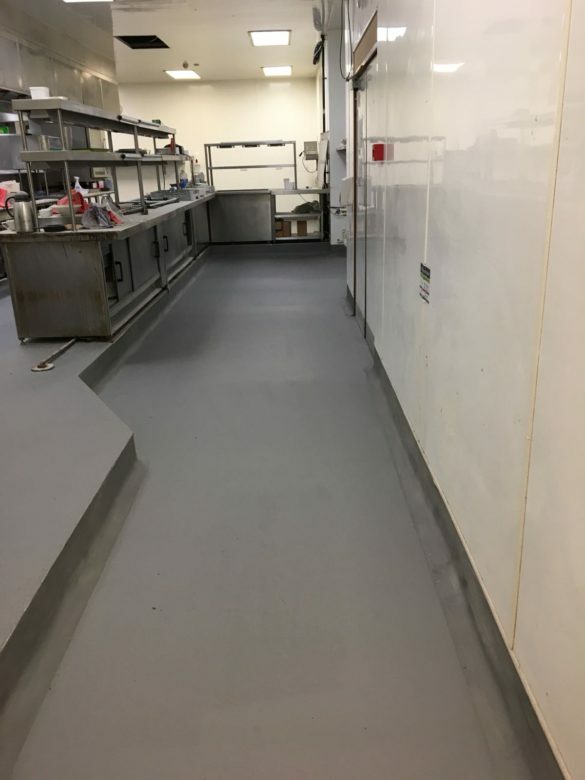 IFT were contracted by Seamill Hydro to install food grade flooring to their existing kitchen. 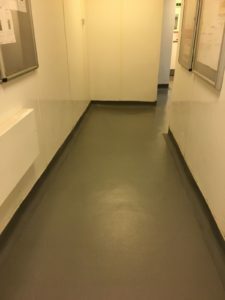 The works involved the removal of the existing vinyl flooring and skirting, followed by any required repairs to the exposed substrate in order to provide a sound base for the resin flooring. The team then proceeded with the installation of 120m2 of food industry grade heavy duty polyurethane flooring and coved skirting. 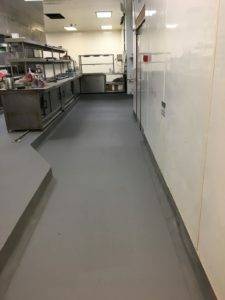 Given the nature of the business, the client was able to close the kitchen for one week only, so it was critical to have all of the works complete and floor ready within that time frame. 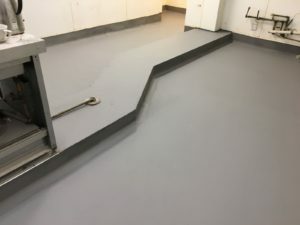 From the initial enquiry to the final completion of the main kitchen job which was planned many months in advance, everything fell into place as planned. It was very important for us as closing our main kitchen is a very rare occurrence as it is pivotal to the hotel's operation across all departments and our 86 bedrooms. IFT covered all queries prior to installation and anything that arose that was unforeseen during works was quickly dealt with and the team on site were professional and thorough. The equipment used to prepare the floor seemed very good and was pivotal to keeping the timeline. 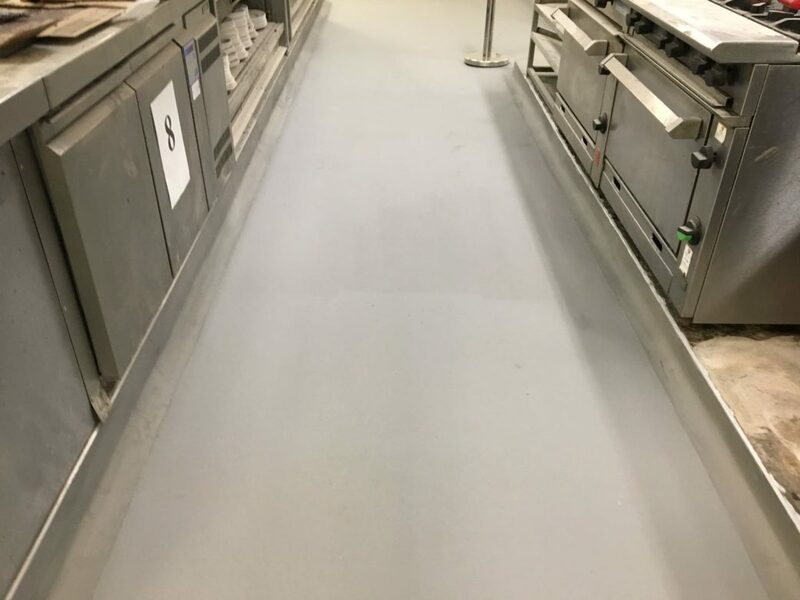 We would not hesitate to contact IFT for future works.